Everyone has a special fish. A favorite. It might be one from childhood or one that is happily discovered farther down the road. 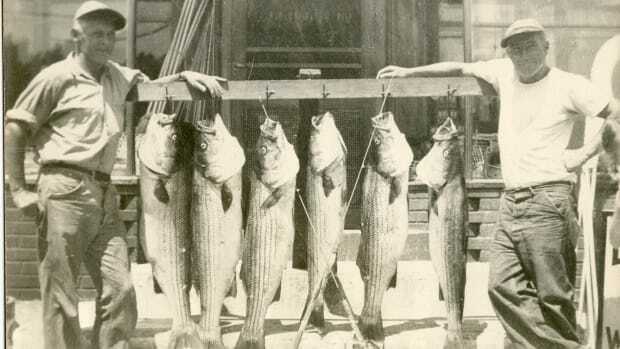 Mine is the striped bass. But having grown up fishing the waters of southern New England, the bluefish has also been a persistent companion, often vying for attention and affection, sometimes without invitation. 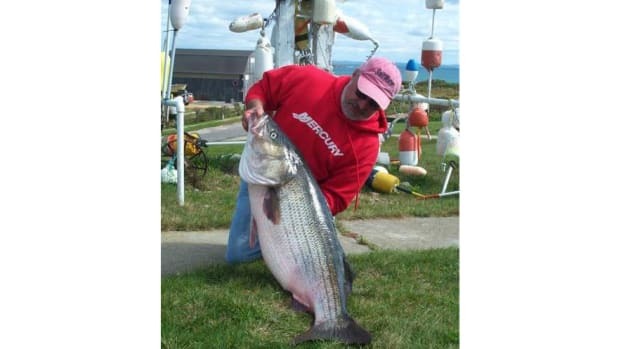 Still, the blue has always been a good alter ego to the striped bass. One a boxer, the other a wrestler. Running mates. Complementary but very different. One of Jim Baker’s series of bluefish drawings. 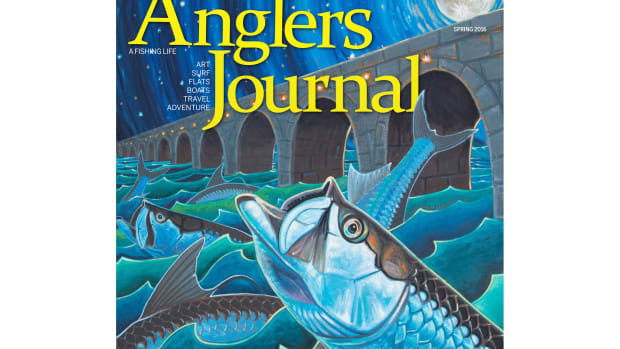 Beginning with the next issue of The Run, we will publish a new blog that focuses on the one fish that has changed an angler’s life. 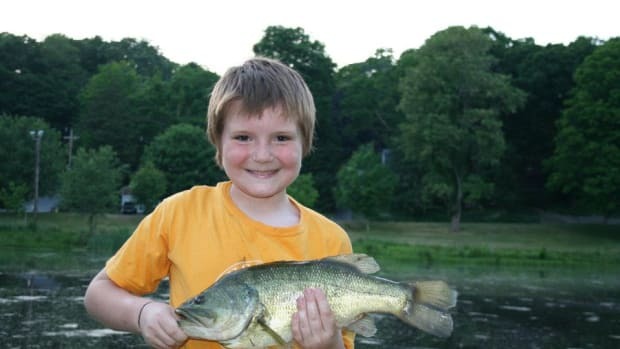 It might be the largest, or one that got away, or perhaps one caught as a child. The stories will surprise you. 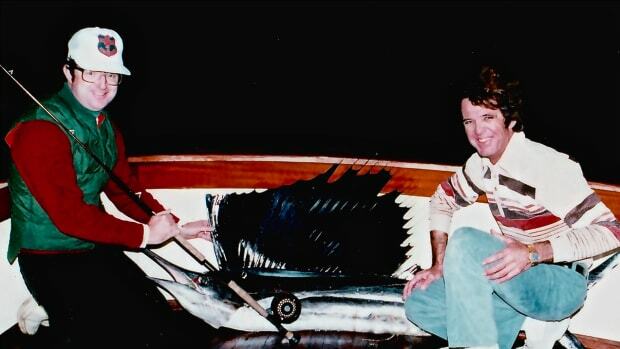 While doing research for a magazine story on bluefish many years ago, I had a conversation with an artist who changed the way I looked at that fish. The painter was Jim Baker, a Rhode Islander who had just completed a series of evocative black-and-white drawings for Pulitzer Prize-winning author John Hersey’s book Blues. In the process, Baker had done an exhaustive study of the fish. And he spoke of the species with a dignity and depth that surprised me. This Stanley Meltzoff painting captures a wild feeding frenzy. In preparing for the Hersey book, Baker pored over contemporary and historical drawings, photographs and engravings. 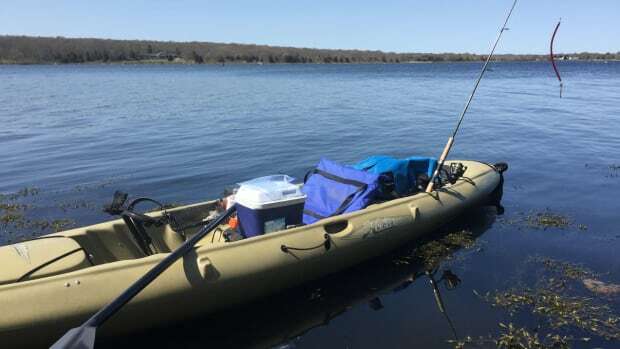 He viewed film shot by fisheries scientists conducting research on bluefish. 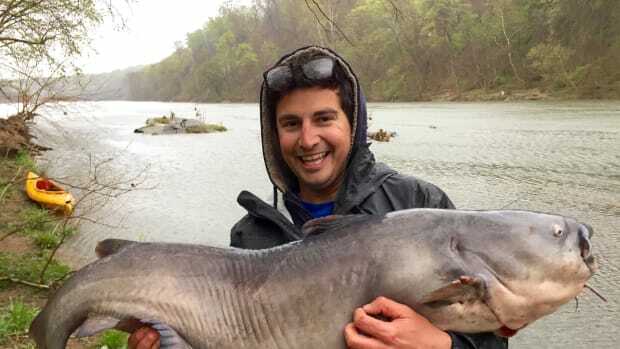 He examined live fish and studied the detailed “scale-by-scale” drawings the U.S. Fish Commission published in the 19th century. When he finally put down his pencils, Baker had made almost 400 drawings. 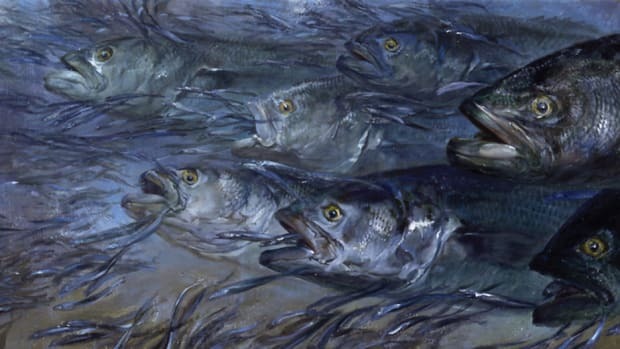 “I just sort of saturated myself with as many images as I could, and from there I could pretty much draw a bluefish blindfolded,” recalls Baker, 78, of Newport, Rhode Island. 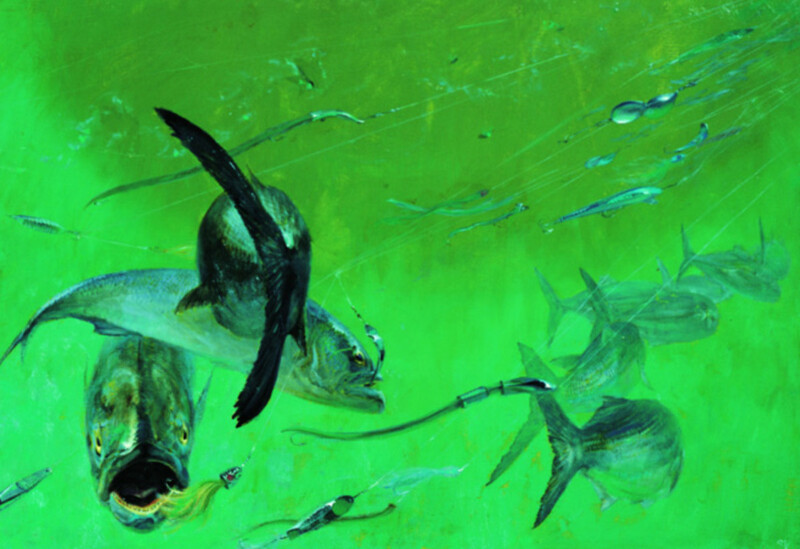 Bluefish feeding beneath a headboat by Stanley Meltzoff. 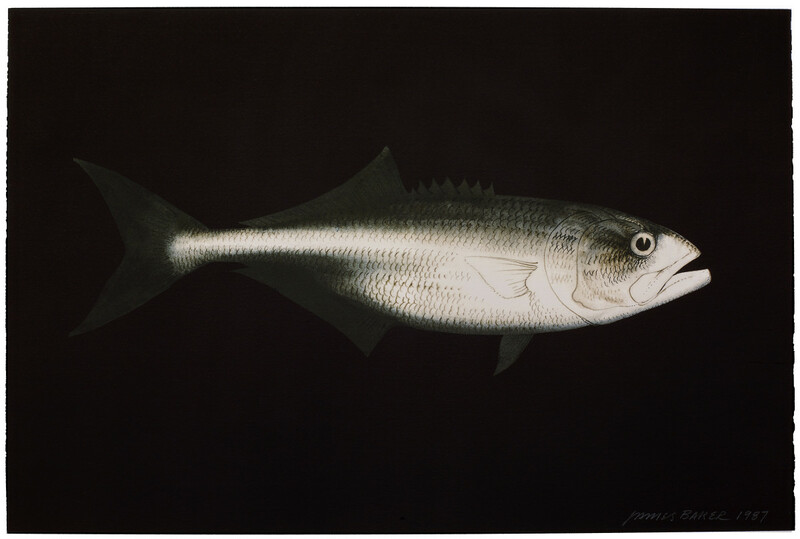 After completing the art for Hersey’s book, Baker returned to his studio and produced another series of bluefish drawings, these with the fish set against blackened backgrounds so that your first impression is the flash of the fish in dark waters. These represented something deeper. Baker’s art reflects his view of nature as a mysterious, spiritual and transformative medium, one that suggests the existence of a higher life force.